Like every two years, the Middle East Business Aviation Association (MEBAA) Show brought together local and global players both for business purposes and to provide new impulsion for business development in the Middle East. The show was held from December 10th to 12th, 2018 on the Dubai World Central (DWC) site and gathered 452 exhibitors. About thirty aircraft were presented on the static exhibition. In addition to the first participation of the G500 Gulfstream, Cirrus Vision Jet and HondaJet Elite, we noted among others the presence of a BBJ 787, an Airbus ACJ340 and ACJ319 in the Acropolis livery. Among exhibitors present, 24 companies were attending this event for the first time. However, the number of visitors was lower than in previous editions. It must be said that the region has suffered strong turbulence for two years already. Since 2016, Dubai has suffered an economic recession with obvious consequences. The fall in oil prices has forced the authorities to reduce investment and to seek new ways of financing, notably by increasing many taxes. In fact, the emirate had to freeze a large number of mortgage and commercial projects. According to a report by the Financial Kuwait Center, construction in the emirate would have dropped 46% in the first quarter of 2018 and property sales of more than 24%. In addition to Dubai, the region’s economy is also heavily influenced by the air, land and sea embargo imposed on Qatar by Saudi Arabia, Cairo, Abu Dhabi and Bahrain. Although the event forced the small emirate to revise its commercial and logistical circuits, the blockade did not have the effect expected by its neighbors. By reviewing its local investment and openness policy, particularly in capital for foreign investors, Doha has managed to overcome the crisis in less than 18 months. But beyond the economic aspect, the embargo has had a human impact, the nationals of neighboring countries being banned from visiting people living in Qatar. 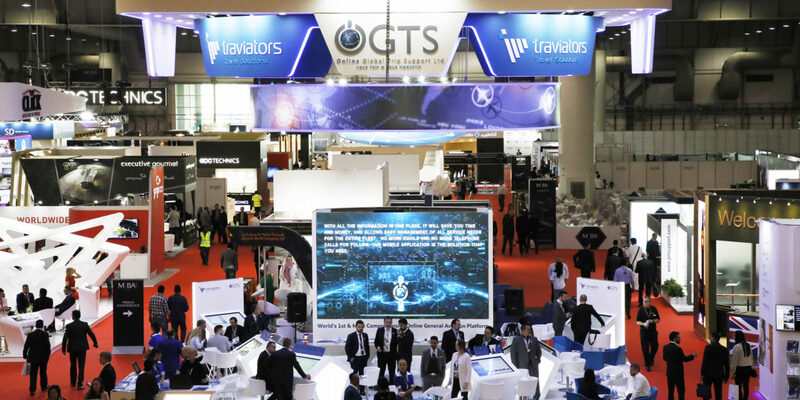 The physical exchange and transactions in the region being impossible, Qatar, which remains an active business aviation investor for the region, was the great absentee of this show. Despite this heavy atmosphere, Ali Alnaqbi, founder and executive chairman of MEBAA, however, said : « Despite the global slowdown and the regional political problems, we are seeing sustained growth and positive signs. Resilience is the key word this year » before adding : « This year, the quality of the exhibitors has attracted serious visitors and this is the best result MEBAA could hope for. Business aviation in the Middle East is now fully mature and although we have a long way to go, this region will always, geographically, have a vital and strategic role to play in the global business aviation arena». Ali Alnaqbi is also counting on the economic impact of the upcoming World Expo to be held in Dubai in 2020, which should bring a significant number of visitors to the emirate. The cautious optimism, remains therefore for Ali Alnaqbi but also for the local actors. 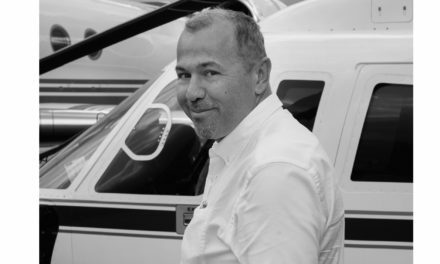 Mike Berry, Regional Executive Vice President for Luxaviation Group explains: « The business aviation market in the Middle East has been slow for the past two years. However, we expect improvements in 2019, especially in the second half of the year, as the problems with grounded aircraft during the anti-corruption period in Saudi Arabia and the political embargo imposed on Qatar should be mitigate or even solve ». He added: « Due to the general economic recovery, we also expect an increase in tourist traffic in the region over the next few months. This is a region that once attracted a lot of activity, especially from Russia, but has declined significantly in recent years. We are therefore looking forward to a recovery in activity at the level of prerecession figures ». 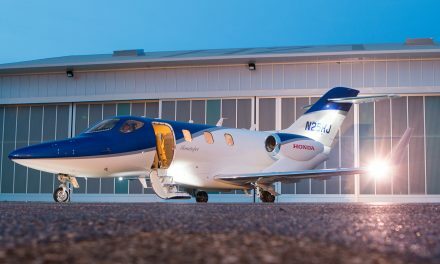 If activity is slow, manufacturers see an increase in demand for brand new aircraft to renew fleets. 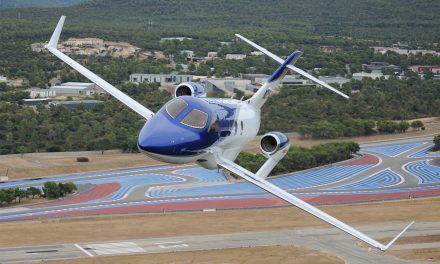 Gilles Gautier, Falcon Sales Vice President at Dassault Aviation said: « the regional market has improved last year and we expect a much better market in 2019 and in the coming years. 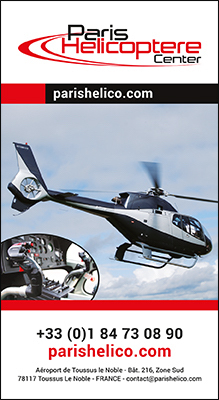 Especially since the region offers significant opportunities in the market for aircraft renewal ». In 2017, the region accounted for 4.5% (1) of global aircraft shipments, down slightly from the previous year. However, the fleet remains stable with 480 registered aircraft (2) in the region, half of which are based in Saudi Arabia. Gulfstream, which gets the lion’s share in the region, especially with the G650ER, could once again strengthen its leadership position with the arrival of the G500 and G600. Like the Savannah aircraft manufacturer, Bombardier remains well established in the Middle East with 26% of market share, and sees, from 2019, the future with confidence. The Canadian aircraft manufacturer is relying on its latest product, the Global 7500. The first delivery in the Middle East for this model is due in the last quarter of 2019. Dassault Aviation, slightly down from the competition, remains an important player in the Middle-East. The French manufacturer notes that its Falcon 8X now in service for two years in the region is particularly popular. And above all, it intends to acquire new market shares with its Falcon 6X which is expected to enter service in 2022. The region also benefits Boeing and Airbus, which share a significant part of the local corporate market. The american manufacturer has launched the BBJ 777X. with a 20 370 km (11 000 Nm) range. This new model could seduce operators in this region where Boeing Business Jets achieves 29% of its sales. 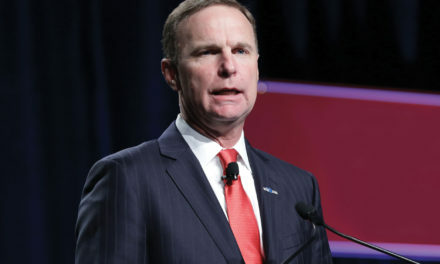 « 52% of single-aisles sold by BBJ are destined for the Middle East market, with 26 aircraft currently in service » confirms Greg Laxton, CEO of Boeing Business Jets. For its part, Airbus is also very active in the Middle East where it sold its first business jet in the mid-1980s. Today, about 40 ACJ 320 family and 20 wide-body VIP aircraft are based in the region. 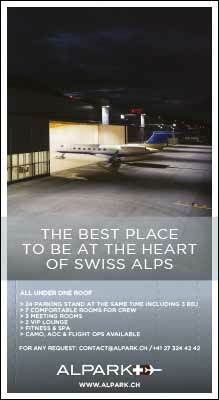 To support the development of business aviation, the region has acquired new infrastructures. The Emirates, and Dubai in particular, remain pioneers in this area. This is evidenced by the development of Dubai South District (formerly Dubai Wolrd Central – DWC) integrated into Al Maktoum International Airport. Located south of Dubai and one hour from the city center, Dubai South opened June 27, 2010 for cargo operations. 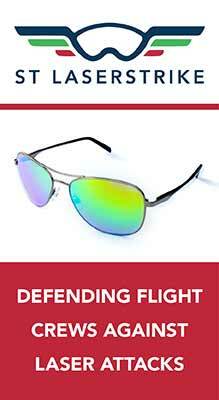 Passenger flights began in October 2013. The airport is at the heart of a 145-square-kilometer multi-phased project consisting of six clustered areas including Dubai Logistics City (DLC), Commercial City, Residential City and Aviation City dedicated to business aviation. This site will also host the 2020 World Expo. Once completed, this airport will be the largest gateway to the Middle East with an annual capacity of more than 160 million passengers. In addition, a multimodal logistics platform will handle 12 million tonnes of freight a year. According to the authorities, who want to make the UAE «the world capital of aviation», the project will eventually accommodate up to one million people and create more than 500,000 jobs. To relieve congestion at Dubai International Airport, business aviation traffic will be relocated to the new Dubai South site where the government has developed specific infrastructure including a 5,600 m2 terminal. Emirati authorities accompany the business development of Dubai South. DC Aviation Al Futtaim and Jet Aviation were the first operators to move there, followed by Execujet, Falcon Aviation Services and Jetex. The latter had opened its new 1,500 m2 FBO terminal in 2016 and announced the commissioning of a new 20,000 m2 hangar for 2019. These facilities will be the largest complex managed by Jetex. ExecuJet, which is present in Dubaï since 1999, announced the relocation of all of its FBO and MRO activities to DWC in 2020. For its part, Falcon Aviation Services has unveiled its new maintenance complex comprising a 9,000 m2 warehouse and a 13,000 m2 tarmac. The first aircraft to be supported for basic maintenance will be Embraer Legacy and Lineage. Many other companies plan to join Dubai South, like DJ Aviation, an Emirates company that, according to a memorandum of understanding signed during the show, will build an industrial complex of 11,000 m2. 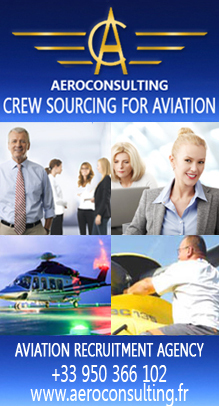 It will combine multiple activities such as handling, aircraft management, charter. The complex will also propose a structure with an AOC – Aircraft Operator Certificate – and fuel supply. Tahnoon Saif, General Manager of Dubai South Aviation District, welcomed the signing of this Memorandum of Understanding, noted : « Dubai South is proud of this cooperation with the national partners of the United Arab Emirates, testimony of an important mutual trust ».